I'm teaming up with Ada of Elegance & Mommyhood to bring to you our budget-conscious trends for summer! The whole idea is to show you how you can try out all the in-fashion trends without breaking the bank to do so. Each of our pieces this week is $20 or under, with our total outfit price not exceeding $75. Today's trendy item is the statement necklace. I was kind of late getting onto the bandwagon on these, but I love them now! Definitely give a fun pop to any outfit! This was kind of hard to figure out what to wear with it, but I pulled out one of my favorite color schemes for summer, teal and white, and I think it turned out really well, don't you think? I got this necklace from Edith Marie which is an awesome site to find trendy and affordable pieces! A good portion of their jewelry is under $20, and a lot is even under $10! To me, that's a great way to try out different jewelry trends without breaking the bank! I think Ada's outfit is really fun! 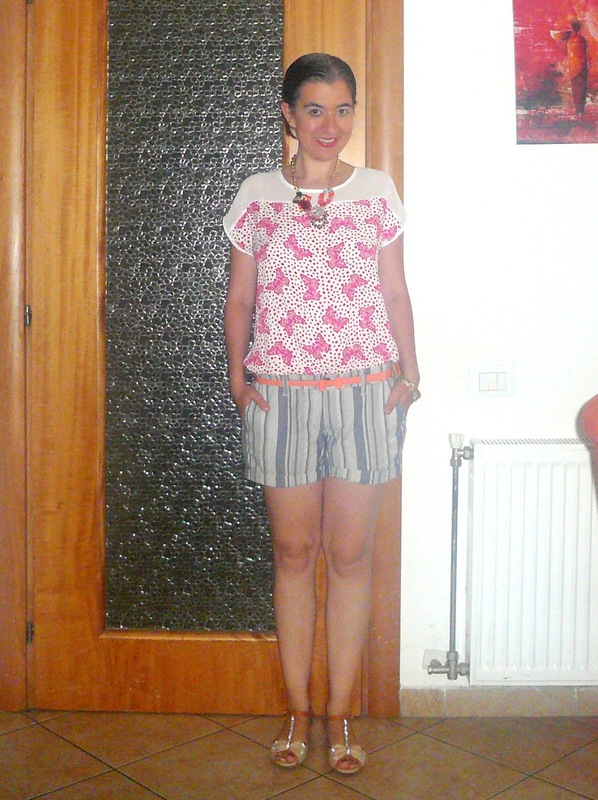 I love her use of pattern mixing with the striped shorts and printed top, and I like how her statement necklace not only has some of the same colors in other parts of her outfit, but brings in other fun pops as well! 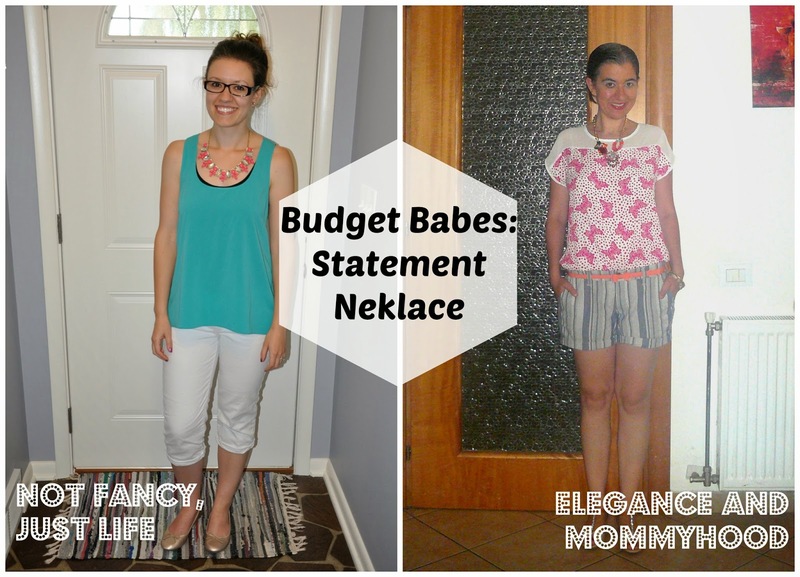 Now it's your turn to show us your budget statement necklace look! The link-up is below and will run through the 23rd at midnight CST, so you have plenty of time to link up all of this week's looks. We would please ask that you follow both Ada and I on Bloglovin' so you can keep up with each of this week's trends. Also, make sure you link back to both of our blogs on your post! Love that necklace! It looks really nice with the teal! Thanks Ada! Haha, I haven't been wearing much jewelry so far, but I think my Thursday outfit comes close to the $75! It's crazy how fast items add up, even when they don't cost much individually! you find a great statement necklace. For a great price. Love love love your necklace! I really like statement necklaces but I think they are definitely not worth spending a lot of money on. You can find really great prices on cute ones! Thanks Ashley! I know, I don't like spending a lot of money on things in general, but after finding sites like this that offer inexpensive jewelry, why go anywhere else! I absolutely love the colors going on in this whole look! Great necklace! You both picked great necklaces to style! I love the color contrast!